Proper steps must be taken to spread digital education among people from all walks of life. Without this, the dream of Digital India will not be successful. Thus, the Kerala government has targeted the schools teachers for digital education. For this, the Kerala Infrastructure and Technology for Education (Kites) officials launched the Kerala Online Open Learning portal. From this site, applicants will be able to register for all digital training schemes, included under the scheme. Digitization of academic curriculums – Digitization has also crept in the academic field. Both teachers and students must be given training so that they can become digital citizens. This scheme will pave the path for better reception and understanding of digital education among the masses. Training begins from – It has been announced that the unique training will commence from December 2018. Target beneficiaries – As of now, KITE has its eyes set on the school teachers. 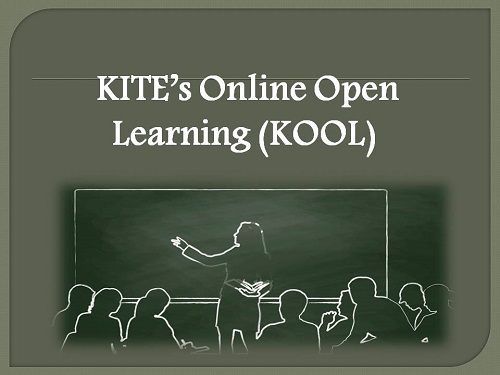 During the next phases of the training program, KITE will target students. In time, they will reach out to the common masses, living in the state. Number of mentors required – Around 200 experienced and knowledgeable mentors will be required for the mammoth task of training such a massive number of candidates. Number of trainees – The total number of teachers, interested in the KOOL training has already reached the mark of 5000. Candidates in first batch – Reports suggest that so far 2500 individuals have expressed interest in joining the first training session that will start from December 2018. Mentor-Trainee ratio – Another objective of this scheme is to offer quality training to all enrolling candidates. To maintain high standards of quality training, the mentor and trainee ratio has been fixed at 1:20. This, means that every batch will consists of one mentor and twenty applicants. Vast array of trainings – Trainers will impart education to the teachers, students and others about digital spreadsheet making, creating and saving word or excel documents, and typing regional language. Apart from this, they will also be offer skills, which will come in handy to edit pictures. Teaching methods of editing and enhancing the quality of audio-video content will also be included in the training program. Training span – Teachers, who are willing to take part in the training program, will have will continue classes for six weeks. If any candidate does not finish 45 hours of digital training, then he/she will not be able to attain any certification. Certificates – After the successful completion of this training, teachers will receive a certificate from KITE. Residential criterion – The special training is only for teachers, and students, who are legal residents of this state. Thus, all interested individuals must submit their residential certificates. Professional criterion – For the time being; only faculty members will be allowed to take part in the training programs. This means only individuals, who teach in schools will be allowed to get the unique training. Personal identification – Applicants are requested to offer necessary documents, like Voter card, PAN or Aadhar Card for the purpose of authentication. How to attain online form and apply for the training? When the site opens, applicants will not be able to get the digitized form. Official Login on the portal is a must for registration. Applicants will see the “Login” option at the top right hand corner of the homepage. Clicking on this option opens a new page. Interested applicants can get to this login page directly by clicking on the link https://kool.itschool.gov.in/login/index.php. After this, candidates will be able to get access to the online application form. One must enter the personal, academic and professional details properly before submitting the online enrollment document.